Is the Sole F85 Treadmill the best treadmill for your home gym, or are there better alternatives around? Without further ado, let’s find out (this is my new, updated and improved reviewt). And, as always, you can trust me to give you the plain and simple truth. Getting in shape is not easy. It takes discipline and hard work. You have to eat the right foods, and you have to get regular exercise. One way to get regular exercise is to go to the gym, but going to the gym has its pros and cons. If you would like to get an excellent workout at home, you might want to consider investing in a treadmill. A treadmill may be expensive, but it will pay itself off when you start to add up how much you are spending on a gym membership every month. It will certainly pay off when you think about how much time you spend traveling to and from the gym. There’s no need to get in your car, burn gas, and waste time because when you have a treadmill at home, you can get to your own gym just by walking a few steps. If buying a treadmill is something you might be interested in, you may want to have a look at the Sole F85 Treadmill. In this new Sole F85 Treadmill review, we will be talking about the various features that this treadmill offers and discussing what customers who have used it actually think of it. This particular model is the top-of-the-line of the SOLE Fitness folding series of exercise treadmills. It has a powerful, continuous duty 4.0 hp motor. You can adjust the speed of this treadmill to anywhere from 0 to 12 mph, and you can set the incline to anywhere from 0 to 15%. With such a wide range of speed and incline options you can have a relatively easy workout or a very intense workout, making the Sole F85 the perfect treadmill for people of all fitness levels. The Sole F85 Treadmill has a bright bluish LED display that can offer you instruction and feedback during your workout. You’ll also be able to see things like speed, incline, time, distance traveled, calories burned, your pulse rate, and your pace. This treadmill even has built-in speakers so that you can plug in any MP3 player and you can listen to your favorite music while you work out. The folding deck has a safety lock that will lock the deck into place when the deck is in the upright position. When you want to lower the deck, it is designed so that you can release the deck and it will silently unfold itself while you take a step back and watch. This is as opposed to the non-folding S77 model. The Sole F85 uses what the company calls “proprietary stealth technology” that makes the deck quiet while also reducing the impact by up to 40%. You will be able to see scrolling messages in the LCD display that will guide you through your workout. You will also be able to see a recap of your workout when you are finished so that you can track your progress. The Sole F85 Treadmill also features a high torque motor, 2.75 inch rollers with a sealed bearing design, and a durable belt with two layers of rubber over a middle PVC layer with a nylon backing. What Customers Are Saying About the Sole F85? This particular model was redesigned quite recently, and because it is a relatively new product, there are not hundreds of reviews yet. However, the reviews that we have seen online are highly positive. There were four customer reviews on Amazon.com with two people giving this treadmill a 5 star rating and two people giving it 4 out of 5 stars. This treadmill is also for sale at Sears.com, and on that site there were 6 customer reviews with an average rating of 4.8 stars. One review came from a customer that had not used many treadmills before. She said that she truly likes the built-in programs because they are extremely user-friendly and they have warm-up and cool downs built-in to the workouts. Another customer said that they did a lot of research before deciding to buy the Sole F85 and in his research; this treadmill kept coming up as one of the best options. After purchasing the treadmill he said that he has used it extensively, and he is truly happy with it. We found a review online from someone that said this treadmill is everything they wanted and more. This particular customer said that the cushioned deck is magnificent because it is easy on their joints. They also like being able to listen to music while working out, and they said that the Sole F85 has a quality sound system built-in. Although we were only able to find a handful of customer reviews online, not one review was less than 4 out of 5 stars. There were no negative reviews that we could find online at the time of this writing but even the people that left 4 star ratings had a few minor concerns. One customer points out that the distance displayed only reads to the 10th of a mile, and they would have preferred the distance to be measured in hundredths of a mile. The display also shows only two digits for the time, resetting back to zero after 99 minutes. This will not be a problem for a lot of people, but if you are going to put in two hours on the treadmill, you’re going to have to keep track of the extra minutes. It was also pointed out that there is quite a bit of lag time between adjusting the speed on the control panel, and the belt actually reaching that speed. One customer said that the lag time is approximately 15 – 20 seconds. Advice on Buying the Sole F85 Treadmill – and the Best Treadmill Is? We found this Sole treadmill available for sale on a number of different websites, and the price was the same at all of them. The price is $2999.99, currently on sale for $1,999.99. It is certainly not the least expensive treadmill on the market, but most customers are extremely happy with it and many people are saying that it is worth every penny. If you purchase this treadmill directly from the manufacturer, Soletreadmills.com, you can get free shipping which is pretty big savings when you consider the cost of shipping a large item. SOLE Fitness also has a great money-back and return policy in case there are any issues. Update: Save $1000 on the Sole F85 Treadmill plus get FREE Shipping, head over to the official Sole Fitness website. N.B. Due to popular demand the model is currently out-of-stock, will ship soon again (I’m told). Yes, I do get a lot of questions about this treadmill! Below you can find my answers to the most common questions. If you have questions that ain’t answered here, send your questions to me! Q: How can I move the treadmill into my basement? Option B is the better option of the two, partly because taking the assembled treadmill down the stairs is a tricky endeavor. For odd staircase shapes, ‘tricky’ can easily become ‘impossible’. If for some reason, usually the weight or staircase shape, you are unable to move the entire package to the basement: you could unbundle the package upstairs. After which, you move each piece to the basement in turns. Q: With a treadmill not set with an incline, what is the measurement from the top of the running surface (the deck) to the floor? Q: What are the details of Soles F85 treadmill warranty? Q: Does the treadmill feature a shelf for a tablet or a book? A: The treadmill has a slot/ledge that appears to have a U-shape when viewed from the side. A tablet will readily fit in the slot: however, for a book to fit, it has to be thin. You should know that anything you fit in the ledge would block your view of the display console. Q: What is the current rating (in amp) of the treadmill? A: 20 amp. Indoor house plug in most homes is 15 amp. If the plug in your house is rated 15 amp, you would have to contract an electrician to do an upgrade. Q: Will a wall outlet rated 15-amp power the treadmill? A: Yes. However, it is recommended that you use the treadmill with a 20-amp outlet and preferably a surge protector. Q: Will this treadmill function without issues on regular carpet? A: Yes. However, you might want to place a treadmill mat, plastic liner, or similar protector underneath the treadmill. Q: What is the height of the deck? Q: Can I adjust the console height? A: No, you cannot. You can neither adjust the console prior to nor after assembling. 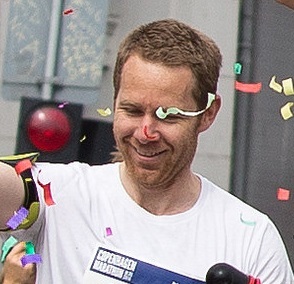 It is fixed. Q: What are the maintenance details of this treadmill? Lubricate deck. Do this every 90 hours or sooner if dry. Clean and inspect the deck for lubrication. Do this every other month. Vacuum under the motor cover and inspect wiring. Do this every other month. After researching reviews online for the Sole F85 treadmill, it’s clear that most customers are truly happy with it. There were a few minor concerns that we pointed out above, but this was not a deal breaker for anyone. 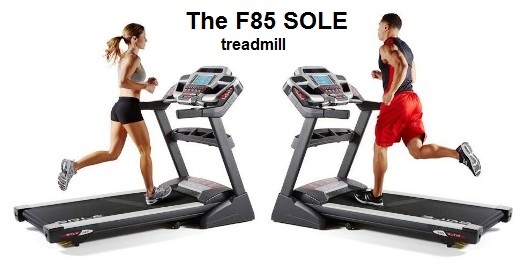 Head over to Sole Fitness to check out the details of the Sole F85 Treadmill (on the official & safe website). 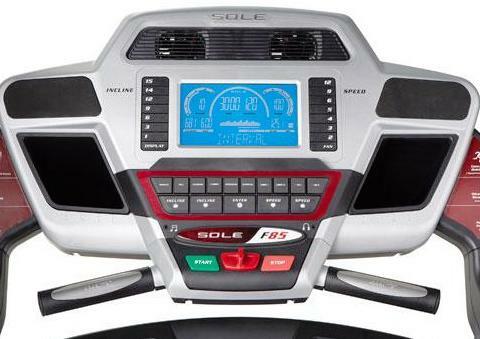 What about Treadmills from Sole Fitness? What Is the Best Cardio Equipment? © 2019 Healthy Heart Treadmill Reviews. All Rights Reserved.